Euro-Wall's Vista Pivot™ pivot doors come in aluminum, aluminum with wood clad, wood and wood with aluminum clad. 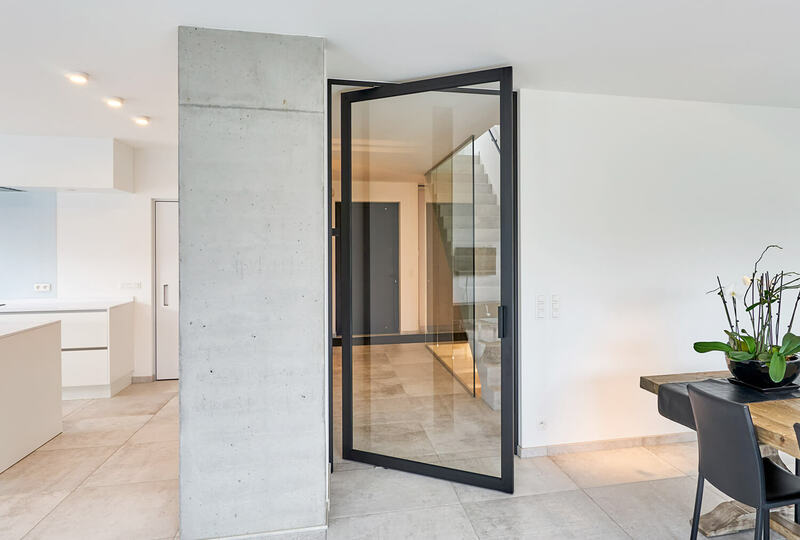 Pivot doors are designed to swing on a pivot box for large grand openings and can be designed for inswing, outswing or both. For non-traditional breathtaking openings, the Euro Vista Pivot™ is a great solution for commercial and residential applications. 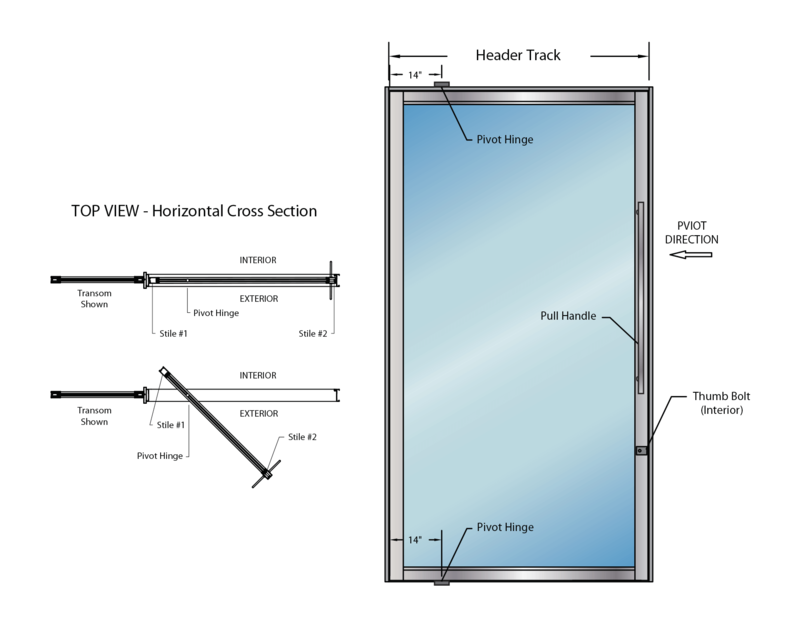 NOTE: The configurations below are just a few examples of the numerous possibilities for Euro Vista Pivot™ Door panel layout configurations and demonstrate both wood and aluminum options.